This Black Crepe Streamer decoration will add a festive look to your Halloween party. Crinkled black paper streamer includes over 6 feet to drape all around the Halloween party zone. Not recommended for outdoor displays. 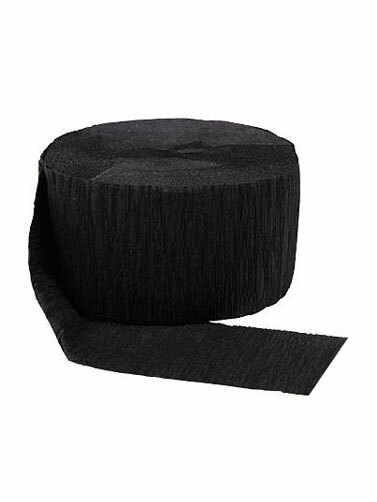 Black Crepe Streamer measures 1.75"H x 81'L.